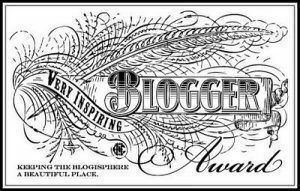 Very Inspiring Blogger Award | Wie sagt man...? A big thanks (again!) 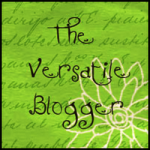 to Kristin at Expatially Mexico for nominating me for the Very Inspiring Blogger Award. It’s nice to have a German on my side when I talk about crazy German things. Plus, she’s living in Mexico, so she gets the whole expat thing. Go check her blog out! 1. I knit, and I just finished a sweater for myself that may be my first “wearable, like out in public wearable” sweater. (Knitters know what I mean). 2. I actually enjoy watching German television, including television dubbed into German. Even Germans think this is nuts, and yes — it is. However, it’s not like if I’m dying to watch a particular episode of Scrubs and I have the option of either watching it in English or watching it in German, I’ll opt for German. I just think it’s a mildly amusing way to spend half an hour once you’ve flipped on the T.V. And have I mentioned how much fun it is to eat breakfast while watching the future Mr. Walter White running around and screaming in German? 3. My official job nowadays is “freelance writer.” The next question is always, “and what do you write?” Well: textbook questions about management, finance and human resources. And fascinating articles like “How to Become a Podiatrist” and “Schooling Needed to Become an Assistant Head Receptionist at a Day Care Center that May or May Not Be Licensed.” It’s a glamorous life. 4. I’ve cooked my own Thanksgiving turkey only twice. Both times it was primarily for Germans, so expectations were thankfully (see what I did there?) quite low. 5. I speak Spanish. This has helped me in Germany exactly zero times. 6. I met John Stamos once and took a picture with him, after seeing him in Cabaret. I was 14 — I look much different now. I imagine that he actually does not. 7. I really, really, really can’t stand it when the credits at the beginning of movies are just credits. Like, black screen with words, and that’s it. Let’s get some storytelling done, people! Those Dam Americans – no longer “Dam,” as of recently, but still a great read! Expat Alien – an American who has lived…pretty much everywhere! Oh, thank you! I still have an award from September(!!!) that I need to post about, but I promise to get round to yours soon. No worries. I find writing these posts about myself to be very time-consuming!